Congratulations to our member who has made the move from consulting to industry – previously a senior consultant at Deloitte they now work in strategy and operations for a PE-owned travel aggregator. How many years into your career are you & why did you decide to leave your old consulting job? I’m 4.5 years in and I decided to leave consulting to get execution experience and work at a smaller company where I could have an impact on the company I worked for rather clients. 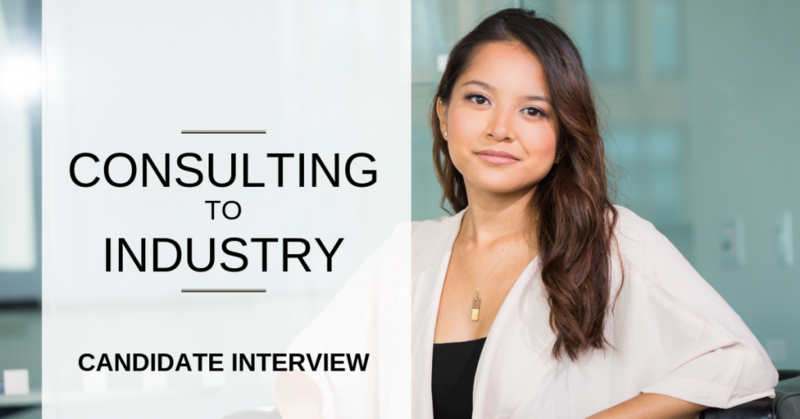 How does your consulting experience help you in your new role? What are the best aspects of your new role, compared to consulting? More impact – not just providing a deck or model with recommendations, but actually implementing those recommendations and seeing their impact. Cross-functional – I work across all functional areas of the business from Strategy to Tech, so gives a great understanding of how the business operates in rather than consulting where you are often answering a specific question. What is the most important thing others looking to move from consulting to your field should know/do? Culture is a massive thing at a smaller company. Try and meet as many people as possible through the interview process and make it a two-way thing – you should be finding out if the role is right for you as much as they are finding out if you are right for the role. You might be lucky and find something that’s a great fit quickly, but for me it took time – so be patient and don’t dive in unless it’s right!